20% OFF + Extra $15 CafePress Coupon - Verified 37 mins ago! CafePress is a leading personalized merchandise retailer, based out of Louisville, Kentucky, United States. They allow users to design their own apparel, accessories and other products, and have them made to order. Users can also sell their designs for a profit margin on the site. The publicly traded company (NASDAQ: PRSS) is an online only business, trading from CafePress.com and other country specific sites. 20% Off Charmed TV Gear At CafePress! 20% Off Gilmore Girls Gear At CafePress! 20% Off Grey's Anatomy Gear At CafePress! What makes CafePress quite popular over other similar sites is their selection of special offers and deals, that you can redeem with CafePress coupons. We keep an up to date list of these here at Coupfoy, so be sure to check back before placing an order to ensure you make the most savings possible! CafePress was founded in California, in 1999 during the dot com boom by Fred Durham and Maheesh Jain. Today Durham is CEO and Maheesh is the CMO. From the beginning they marketed themselves as something more than just a custom printing service, by allowing users to sell their designs for profit. The company handles all of the logistics and shipping, which quickly made it popular among small brands and organizations that wanted to sell their own merchandise. One area that the company has embraced is politics. During elections citizens will often create merchandise to support their candidates. 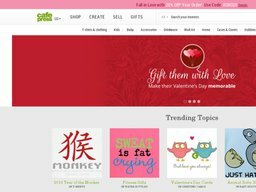 CafePress allows customers to buy pre-made designs from other people or make their own unique designs themselves, all of which are custom-made to order. Common items include T-Shirts and Apparel, Wall Art, Drinkware, Stationery, Tech Cases, Bags, Buttons, Jewelry, Banners, Stickers, Yard Signs, and many others. Depending on what offers are available at the time, your CafePress coupon code may get you discounts site-wide or for specific items only (such as 20% off drinkware). To see all the current deals, simply check here at Coupofy. Once you've chosen the type of product you want to use you can then choose a design or enter their online design studio, which allows you yo upload photos and images, add text and use various design elements, to create something unique. You can then add it to your basket like a typical online store. You can easily navigate the site using the above categories, and you can also shop via Occasion (Birthday, Valentines Day, Graduation), Interests (Humor, Military, Animals, Movies & TV), or by Gift Recipient (For Him, For Her, Kids, etc). CafePress is also partnered with several brands and properties, such as Marvel, the Big Bang Theory, Family Guy and others. This allows you to buy pre-made designs with officially licensed imagery, or make your own design using some of their graphics. While the site doesn't actively prohibit you from making products that contain copyrighted material (such as a picture of a famous Band) for personal use, they do not allow you to sell these and will cooperate with rights holders if they make a complaint. CafePress accept a wide variety of payment methods, including most common credit cards (Visa, American Express, Discover, Mastercard), Check Card (MasterMoney Card, Visa Check Card), CafeCash (which is their own pre-funded payment account option), and PayPal. You can also use CafePress branded gift cards to cover all or part of your order, with any remaining balance paid using another accepted method. If you wish to redeem a CafePress coupon code, all you have to do is copy said code over from Coupofy and paste it in to the designated promotional box at CafePress. You should see this during checkout before the payment step. Once entered correctly you should see a confirmation message and your total order cost should drop according to the corresponding offer. The time it takes to deliver your order is a combination of processing time and shipping time. It can take up to 3 business days for items to be dispatched because they have to be custom made for you specifically. Shipping options available include Economy (up to 9 business days), Standard (up to 6 business days), Premium (up to 4 business days), and Express (next day delivery). The faster the delivery the higher the cost, and cost is also increased depending on the size of your order. For an accurate cost calculation, you should add items to your basket, enter a delivery address and choose an option. 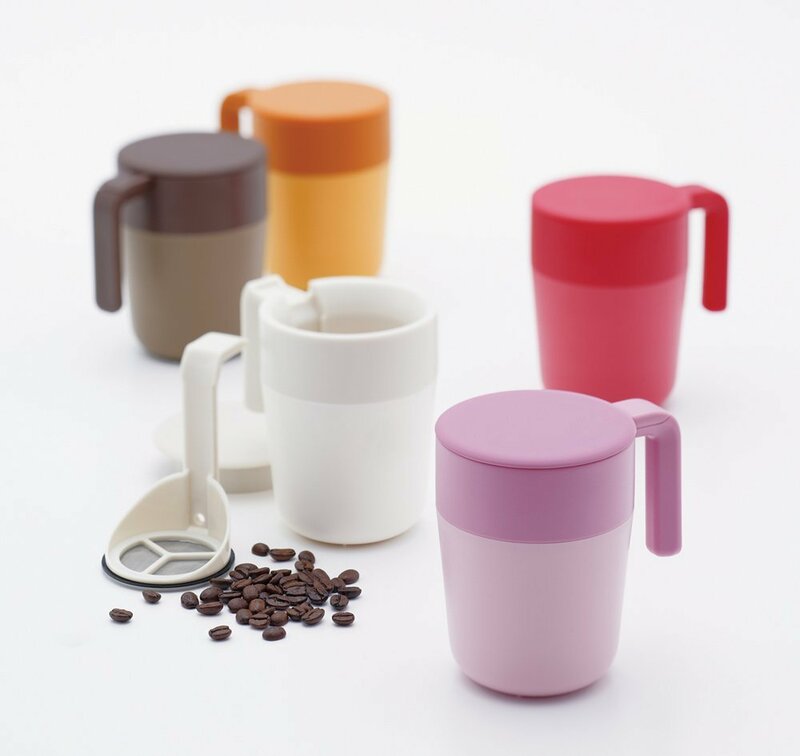 From time to time you can also get a Cafepress coupon free shipping code, to get Economy shipping for free. Because CafePress items are mostly custom made, they do not accept returns of such items simply because the customer no longer wants them. There has to be a quality issue, an error, or the item has arrived damage, to be able to get a refund in this scenario. Returns must be initiated within 30 days of purchase, and before sending anything back you must also contact customer support to obtain a return number and further instructions. Certain items, such as duvets and curtains are subjected to a 20% restocking fee.